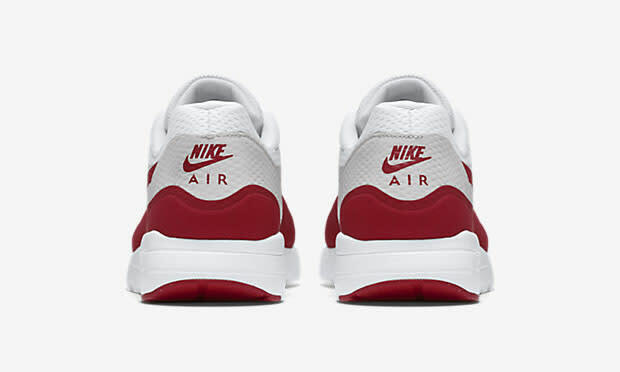 Last fall, we told you that Nike was getting ready to drop O.G.-style looks of the Air Max 1 Ultra Essential, the first of which is now available today. 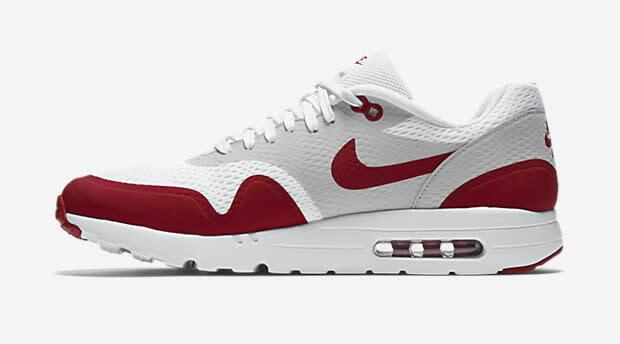 At a glance, these Air Max 1 Ultra Essentials look just like the originals, but a closer look reveals updated materials and construction. 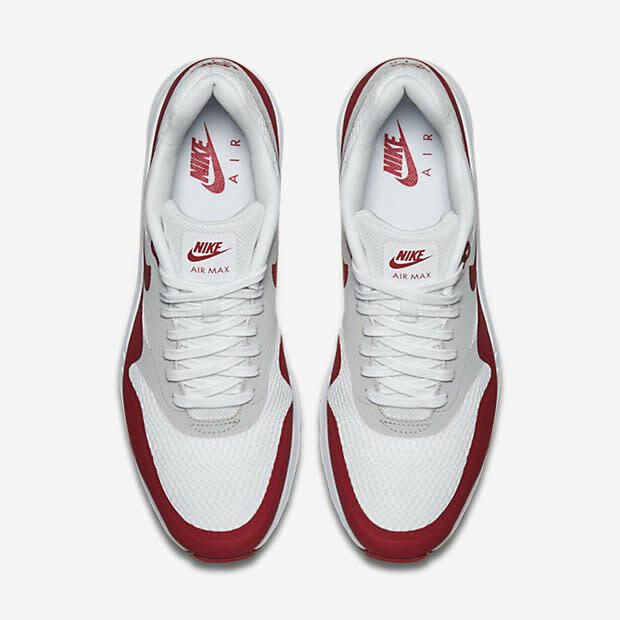 The 1987 model's suede overlays have been replaced with synthetic leather, while fused seams make these runners lighter than before. The mesh has undergone a makeover too, with larger perforations offering more ventilation than the O.G. sneaker. Down low, there's still the same visible Air unit you've come to know and love, but the outsole has also been tweaked to be as lightweight as possible without sacrificing support. 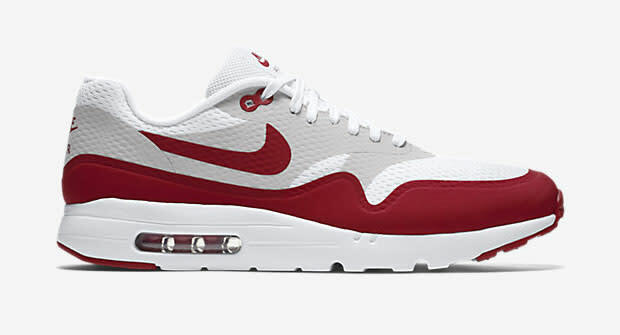 Whether you missed the last retro run of the "White/Red" Air Max 1s or just want to add another version to your rotation, these can be had right now from Nikestore for $120.